Inprint is proud to serve as a host for the First Friday Poetry Reading Series. The First Friday Series is the oldest poetry series in Houston and has been held monthly on the first Friday of each month since 1975. The series is coordinated and curated by Robert Clark. Each reading begins with a featured poet, followed by an open mic. For more information on the First Friday Series click here or visit the group on Facebook here. First Friday celebrates its 43rd anniversary with a reading by Deborah D.E.E.P Mouton on July 6. Deborah D.E.E.P. 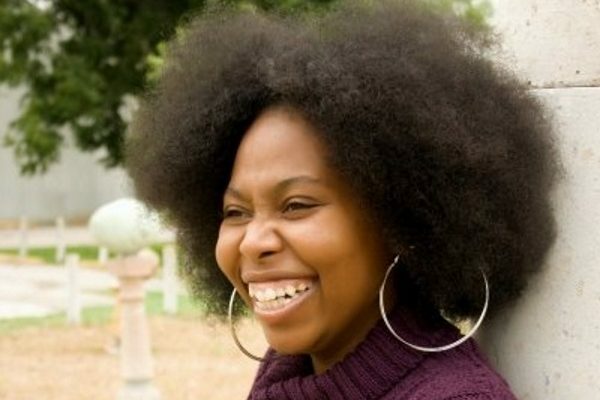 Mouton is a mother, wife, educator, and the current Poet Laureate of Houston, Texas. This seven-time National Poetry Slam Competitor and Head Coach of the Houston VIP Poetry Slam Team has been ranked the #2 Best Female Poet in the World. Her work has appeared in Black Girl Magic (Haymarket Books), Houston Noir (Akashic Books), the Houston Poetry Fest 2017 Anthology, the Houston Chronicle, and on other platforms such as BBC, ABC, Blavity, TED Talks, Upworthy, First Friday, and as Guest Poet at Houston Poetry Fest.